Ostracods (Class Ostracoda) are a highly diverse (some 70,000 extant species) group (possibly paraphyletic) of tiny ( 1 mm to 30 mm) crustaceans also known as seed shrimp. Their structure is similar to bivalves and they have a chitinous or calcareous shell. 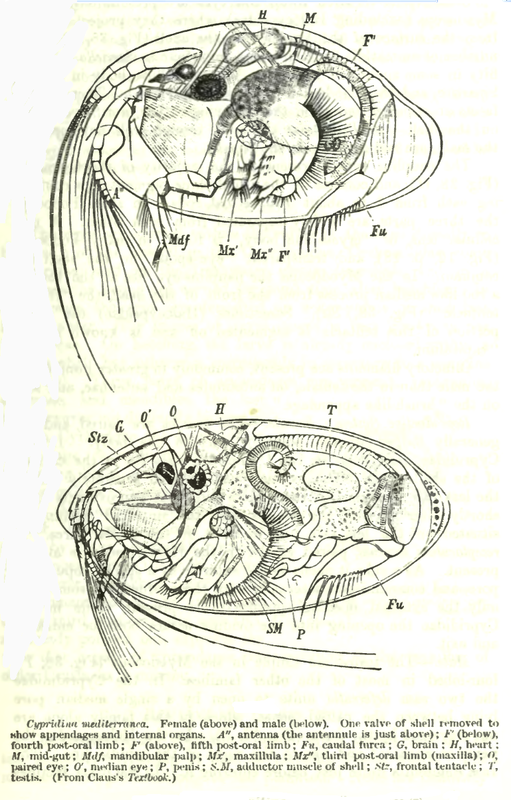 The above drawing of a male and female Cypridina mediterranea ostracod is from "A Treatise of zoology" by E Ray Lankester, circa 1909.